In today’s higher-Ed environment, marketing dollars are at a premium and so are the students that need to engage with schools as a result of that marketing. So, what’s the secret to unlocking the successful convergence of your admissions/marketing strategies and increasing enrollment? Hmm… now that’s today’s million-dollar question. Before your precious marketing dollars are invested, there are a few critical components that need to come to the forefront for inspection and clarity. Your institution must take a deep dive into each of these areas and determine how they will each play a part in creating a sustainable future (or not). Note: These are just a few high-level areas to get your executive teams thinking and activated. After all, just thinking about these isn’t good enough; acting on them is critical. We could spend months talking about external challenges, but for the point of this blog, we will discuss just a few. I’m sure this will stimulate other conversation with your executive team. Pay close attention to your primary competitors and what majors they are offering and making changes to. If you begin to see a paradigm shift in new majors offered, new tracks, credentialing, and more importantly, external corporate partnerships being added within those majors, those are telltale signs of a school trying to make necessary adjustments to shifting market demands. 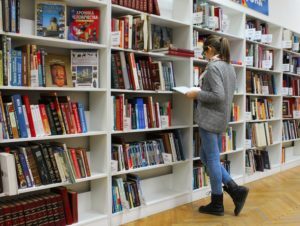 If your school was not prepared to adapt to market demands within certain majors, this would be the time to begin your research swiftly so you do not fall too far behind. Here’s one question your institution must seriously think about. It’s no secret there are emerging industries and declining ones. Challenge your academic leaders to focus on the industries and associated trends that are evolving right before their eyes and integrate real-world methodologies into the classroom. Professors can and should play an integral role in what an institution offers for degrees and what tracks will be the most coveted by partner companies and students. Today’s classroom is no longer about lengthy professors lectures talking about what was published 5-10 years ago in the book. The reality is, businesses have real-world struggles and demands and these should be exposed and discussed in college academic settings. Additionally, internships are paramount for partner companies that are closely aligned with your degree offerings. Successful schools are continuing to do this research year-by-year and they are keeping lines of communication open with industry leaders and companies that are closely related to the professor’s majors. According to World Finance.com, here are the top 5 fastest growing industries in the world. There are also many other careers that are very promising and on the rise. Where is Your Primary Student? If the local student is considered to be the primary student for your school, that’s good. However, if there is a problem with getting them to enroll, why is this happening you ask? This is the easiest issue to spot and probably the hardest to overcome. Is the local area where you draw most of your students from in a growth mode or not? 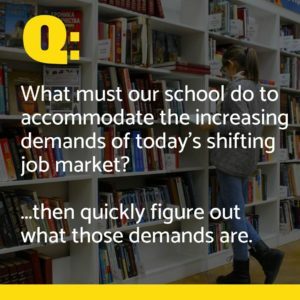 If your campus is in a part of the country where the turnout of high school students is not growing or close, you should already be planning for what to do next to overcome that. If you haven’t started executing on a new strategy for this, you may be in for a big surprise when your enrollment numbers are down. Keep in mind; the local student may not be your best solution. After all, if you’re struggling to find them, start looking in the growth areas of the U.S. There are at least 4 states that are turning-out high school grads in high numbers (FL, TN, TX, CA). You can even look overseas because the international student market is an attractive one as well. As you can imagine, most, higher-Ed leaders already know these things so don’t be alarmed if those ideas are already crowded with other schools. So, here is a juicy nugget you may not know, especially if you’re not in this part of the country. There is an area in the southern U.S. that is among the fastest growing parts of the country. It is projected to increase in population by nearly 70% in the next 30 years. The Piedmont Atlantic Megaregion (PAM) runs between Birmingham, AL and Raleigh-Durham, NC and is comprised of 6 states. The key to this gem is the general population explosion, corporate and infrastructure growth with several metropolitan cities and business centers that also are known for innovation and technology. All of these are ripe is you’re in higher-Ed. The PAM we just mentioned is just one way to leverage existing growth to your advantage. There are hundreds if not thousands of companies looking for colleges and universities to help them perform R&D, develop new products, tap into new markets, and so much more. If your institution can find the right businesses to partner with, you will fuel your admissions marketing because this will provide your school with a point of differentiation you didn’t have before. Note: In today’s digital economy, it really doesn’t matter if your college is not located in one of those 6 states. Incoming students want a degree program that is considered elite, and their parents want a school that will help their student get a job upon graduation. Partner companies aligned with your programs is a great way to accomplish both – not too mention, partnership education is a fantastic way to provide real-world education and makes life easier on your Admissions team. Here’s just one example with Embry-Riddle Aeronautical University. The conduit to successful outcomes for your school is identifying the market demands and aligning those demands and partner businesses to your academic offerings. Whether this is on campus or online, it doesn’t matter. Today’s global economy is a digital economy and internships can be done remotely for businesses around the globe. Imagine, if your marketing material could boast about having real-world internships locally, regionally, nationally and even internationally, all leading to jobs? That’s probably the best marketing you will ever need and your competition will be scratching their head wondering why they didn’t do that. YourBrandExposed is committed to providing admissions/marketing insights and strategies for colleges and universities and their leaders looking to advance their mission and model for next-generation survival.